While Apple is moving to LTE with the iPhone 5, it’s focused for now on North America and advanced Asian markets, leaving Europe’s most important LTE bands behind. The iPhone 5 will come in three versions, equipped to use different sets of frequencies: Two phones for the GSM family of technologies and one for CDMA, which also includes GSM bands for roaming. On top of those frequencies, each model includes selected bands for the faster 4G LTE technology, a key selling point of the iPhone 5. However, the new lineup leaves out two bands — 800MHz and 2.6GHz—that will be critical to LTE service in Europe, according to Tolaga Research analyst Phil Marshall. “If you were to build a European device, it would have 800MHz and 2.6GHz in it,” Marshall said. Carriers in Germany, Sweden, Italy and other European countries already have or are expected to deploy LTE in one or both of these bands. Apple does include the 1.8GHz band for LTE in two of the iPhone 5 models, which could provide for LTE use in some parts of Europe, Marshall said. This set of frequencies, also called Band 3, is used by about 25 percent of LTE operators worldwide, according to Tolaga. This is one of the LTE bands that wasn’t included in the iPad 3 launched earlier this year, a shortcoming that led to legal action in Australia over Apple advertising the tablet as supporting “4G.” The company dropped that claim from its advertising in Australia after the country’s competition agency took Apple to court. But support for the main LTE bands in Europe apparently will have to wait for a later release of the iPhone, Marshall said. “They’ve put a device together that’s targeted toward the U.S. and mature Asian markets,” namely Japan and South Korea, plus including several 3G frequencies in all three models for roaming, he said. That may be a smart strategy when it comes to investing in new product versions. “Europe, from an LTE standpoint, has not gained nearly as much momentum as the U.S. and mature Asian markets,” Marshall said. Equipping a phone for many different frequencies — the CDMA iPhone 5 can be used for 16 different bands, depending on the carrier — isn’t an insurmountable task but presents challenges for makers of chipsets and of subsystems such as amplifiers and filters, as well as the phone vendor, Marshall said. It may even dictate choices about how the phone’s motherboard is laid out, allowing for adequate isolation of radio waves from the various bands. 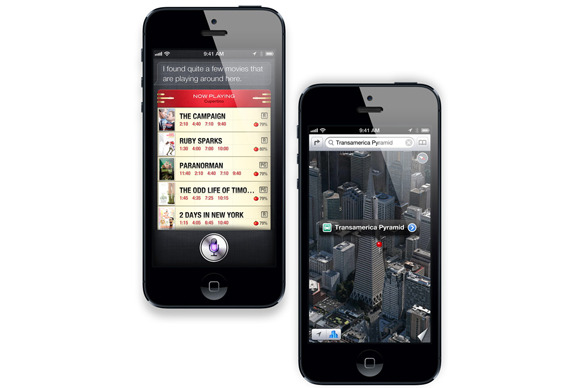 By making more than one model of the iPhone 5, Apple may be reining in the potential costs of that development. Starting with the iPhone 4, it has released separate CDMA and GSM versions, but the fragmentation of different frequencies used for LTE has raised the complexity bar with this release. “I would anticipate that they will continue to do these multiple [products] rather than try and jam it all into one device,” Marshall said. But after several generations of the phone, LTE networks may have matured to the point where there is an obvious set of LTE bands to include in one phone sold around the world, he added. The many different pieces of spectrum used for LTE is a problem that goes well beyond Apple, and travelers are not expected to be able to roam on these fast networks in foreign countries for several years. The three models of iPhone 5 that are set to go on sale beginning Sept. 21 are specialized for certain markets. GSM Model A1429 seems suited for key Asian carriers: It has bands used by Japan’s NTT DoCoMo (at 2.1GHz) and by South Korea’s SK Telecom and LG UPlus (at 850MHz), along with the widely used 1.8GHz band. There is just one model designed for CDMA, the type of 3G network used by Verizon Wireless and Sprint Nextel in the U.S. That phone, the CDMA Model 1429, includes the two Japanese and Korean LTE bands in addition to Band 13, used by Verizon, and Band 25, used by Sprint. All three phones include support for four widely used bands for GSM plus four for its faster variants that go under the HSPA name. The CDMA unit includes three bands specifically for its variant of 3G, called EVDO.